The political party that controls a country, controls the media, and subsequently, they control the minds of the masses. . .
ACTS 15:4-11 And when they were come to Jerusalem, they were received of the church, and of the apostles and elders, and they declared all things that God had done with them. ▪and to command them to keep the law of Moses (#LawOfMoses). ▪Now therefore why tempt ye God, to put a yoke upon the neck of the disciples, which neither our fathers nor we were able to bear? ▪c. In John, denotes the essential Word of God, Jesus Christ, the personal wisdom and power in union with God, his minister in creation and government of the universe, the cause of all the world's life both physical and ethical, which for the procurement of man's salvation put on human nature in the person of Jesus the Messiah, the second person in the Godhead, and shone forth conspicuously from His words and deeds. 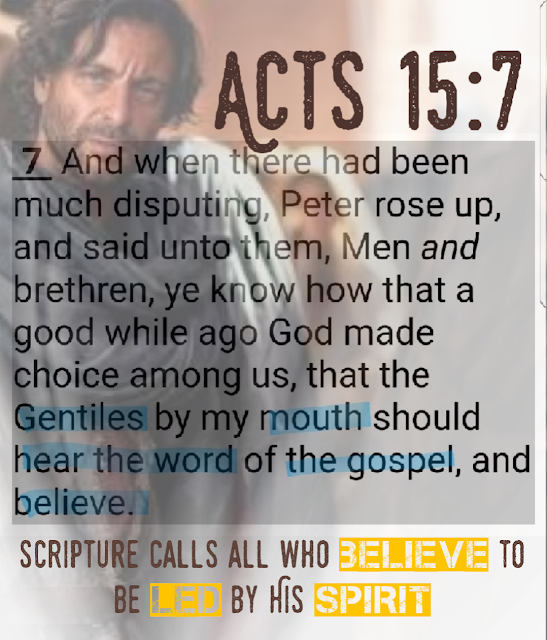 Peter rose up, and said - This was after the matters in dispute had been fully debated; and now the apostles, like judges, after hearing counsel on both sides, proceed to give judgment on the case. A good while ago - Αφ' ἡμερων αρχαιων, From the days of old: a phrase which simply signifies some years ago; and, if he here refers to the conversion of Cornelius, (see Acts 10:1-48), he must mean about ten years before this time; but it is more likely that he refers to that time when Christ gave him the keys of the kingdom of heaven, that be might open the door of faith to the Gentiles. God made choice among us - That is, he chose me to be the first apostle of the Gentiles. Why tempt ye God? - Why provoke him to displeasure? Why, since he has shown his determination to accept them without such rites, do you provoke him by attempting to impose on his own people rites without his authority, and a against his manifest will? The argument is, that God had already accepted them. To attempt to impose these rites would be to provoke him to anger; to introduce observances which he had shown it was his purpose should now be abolished. (2) Because they would be an infringement of Christian freedom. One design of the gospel was to set people free from such rites and ceremonies. Which neither our fathers ... - Which have been found burdensome at all times. They were expensive, and painful, and oppressive; and as they had been found to be so, it was not proper to impose them on the Gentile converts, but should rather rejoice at any evidence that the people of God might be delivered from them. Were able to bear - Which are found to be oppressive and burdensome. They were attended with great inconvenience and many transgressions, as the consequence. But we believe - We apostles, who have been with them, and have seen the evidences of their acceptance with God. Through the grace ... - By the grace or mercy of Christ alone, without any of the rites and ceremonies of the Jews. Grace of the Lord. Peter urged that it was not conformance to the law that brought salvation, but the grace of the Lord. This statement came as his closing argument. Shall be saved. The salvation God promises is by grace (see Rom. 3:21-26; 5:1, 2; 11:5, 6; Eph. 2:5, 8). The works follow upon the receiving of the gift of salvation by grace (#HolySpirit fruit / work: the result with His Spirit presence within us is #Gal5verse22to23; Rom. 8:4; Eph. 2:9, 10; Phil. 2:12, 13). ▪1 John 5:1 Whoever believes that Jesus is the Christ is born of God, and whoever loves the Father loves the child born of Him. ▪1 John 5:10 The one who believes in the Son of God (#Jesus) has the testimony in himself; the one who does not believe, God has made Him a liar, because he has not believed in ☛the testimony that God has given concerning His Son☚. The Sabbath is a type of life in the Holy Spirit who dwell in born again believers, which is resting in our Father (from self-will and pride) to serve others with His Son's love. The Lord of the sabbath knows that we need rest, but the hour is late and there is no better rest than walking in His Holy Spirit. ❤ Act 10:5-6 And now send men to Joppa, and call for oneSimon, whose surname is Peter: 6 He lodgeth with one Simon a tanner, whose house is by the sea side: he shall tell thee what thou oughtest to do. 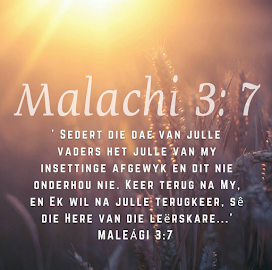 Act 10:20 Arise therefore, and get thee down, and go with them, doubting nothing: for I have sent them. Act 10:32-48 Send therefore to Joppa, and call hither Simon, whose surname is Peter; he is lodged in the house of one Simon a tanner by the sea side: who, when he cometh, shall speak unto thee. 33 Immediately therefore I sent to thee; and thou hast well done that thou art come. Now therefore are we all here present before God, to hear all things that are commanded thee of God. 34 Then Peter opened hismouth, and said, Of a truth I perceive that God is no respecter of persons: 35 But in every nation he that feareth him, and worketh righteousness, is accepted with him. 36 The word which God sent unto the children of Israel, preaching peace by Jesus Christ: (he is Lord of all:) 37 That word, I say, ye know, which was published throughout all Judaea, and began from Galilee, after the baptism which John preached; 38How God anointed Jesus of Nazareth with the Holy Ghost and with power: who went about doing good, and healing all that were oppressed of the devil; for God was with him. 39 And we are witnesses of all things which he did both in the land of the Jews, and in Jerusalem; whom they slew and hanged on a tree:40 Him God raised up the third day, and shewed him openly; 41 Not to all the people, but unto witnesses chosen before of God, evento us, who did eat and drink with him after he rose from the dead. 42 And he commanded us to preach unto the people, and to testify that it is he which was ordained of God to bethe Judge of quick and dead. 43 To him give all the prophets witness, that through his name whosoever believeth in him shall receive remission of sins. 44 While Peter yet spake these words, the Holy Ghost fell on all them which heard the word. 45And they of the circumcision which believed were astonished, as many as came with Peter, because that on the Gentiles also was poured out the gift of the Holy Ghost. 46 For they heard them speak with tongues, and magnify God. Then answered Peter, 47 Can any man forbid water, that these should not be baptized, which have received the Holy Ghost as well as we? 48 And he commanded them to be baptized in the name of the Lord. Then prayed they him to tarry certain days. Act 11:12-18 And the Spirit bade me go with them, nothing doubting. Moreover these six brethren accompanied me, and we entered into the man's house: 13 And he shewed us how he had seen an angel in his house, which stood and said unto him, Send men to Joppa, and call for Simon, whose surname is Peter; 14 Who shall tell thee words, whereby thou and all thy house shall be saved. 15And as I began to speak, the Holy Ghost fell on them, as on us at the beginning.16 Then remembered I the word of the Lord, how that he said, John indeed baptized with water; but ye shall be baptized with the Holy Ghost. 17 Forasmuch then as God gave them the like gift as he did unto us, who believed on the Lord Jesus Christ; what was I, that I could withstand God?18 When they heard these things, they held their peace, and glorified God, saying, Then hath God also to the Gentiles granted repentance unto life. Mat 16:18-19 And I say also unto thee, That thou art Peter, and upon this rock I will build my church; and the gates of hell shall not prevail against it. note 19 And I will give unto thee the keys of the kingdom of heaven: and whatsoever thou shalt bind on earth shall be bound in heaven: and whatsoever thou shalt loose on earth shall be loosed in heaven. Joh 3:27 John answered and said, A man can receive nothing, except it be given him from heaven. Against such things there is no law. ▪#Christians are called "chosen or elect" of God. 🔺impartiality: The ability to be unbiased towards any one race, class or person. This attitude is demonstrated by God and is to be emulated by the human race. The transformation that started with the death of Dr. Hendrik Verwoed is complete... The Afrikaner bond has turned from guardian to handler. 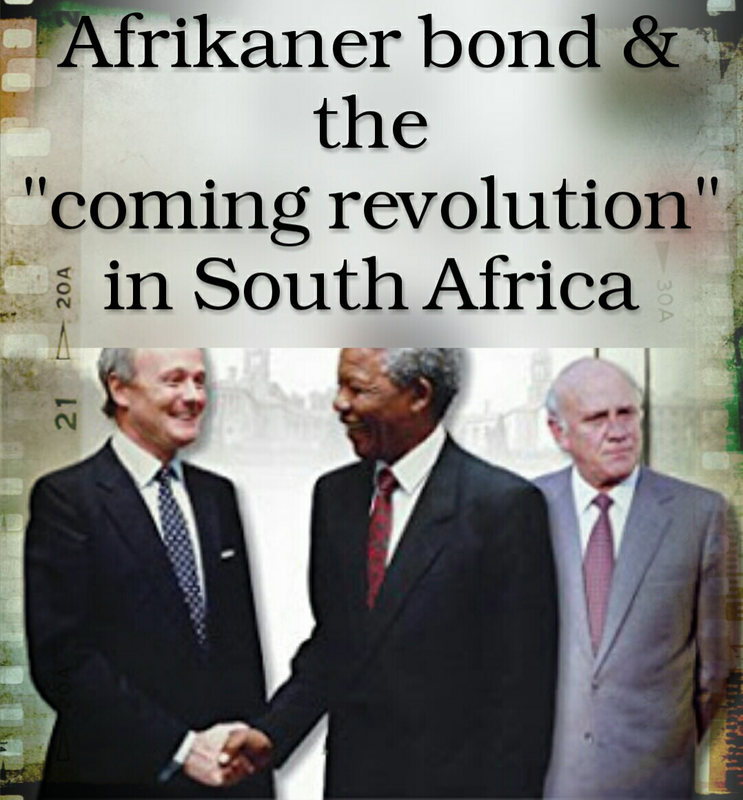 The Afrikaner bond is today the new world order's local management team, it serves as watch dog & controls every aspect of 'Afrikaner life' & enslaves and control the black nations of South Africa. The economy is set to crash and will have drastic consequences for the world; on top of that science has brought us to the point of baby farming and designer babies. The latest discovery recently came out of Egypt, a statue to Ramses II was uncovered and issues a reminder to how symbolic these times are. Visitors from around the World General Comments Section: Nephilim - Written by Vernon Gray and critiqued by Tom Lessing A further difficulty seems to be that the offspring were only men; no "women of renown" are mentioned. (Was there a chromosome deficiency among the Sethites? Were there only "Y" chromosomes available in this line?). Video: Maybe that's why I'm still here.. TO WARN YOU! Video: Bromo's fifth episode: "those in power" program, with the former South African president, Frederik de Klerk: 3 For when they say, "Peace and safety!" then sudden destruction comes upon them, as labor pains upon a pregnant woman. And they shall not escape. A long-held conspiracy theory yet again gets proven true. The UN at the seventy-first regular session has aggregated the role of the United Nations in promoting a new global human order into their agenda. In addition to the aforementioned under section A. #StopWhiteGenocideInSA. Picture Window theme. Powered by Blogger.